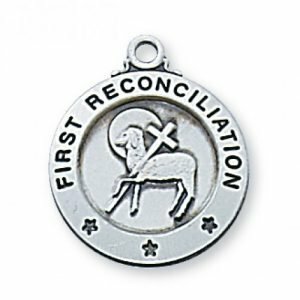 This Four Way pewter medal overlays a genuine olive wood pendant. 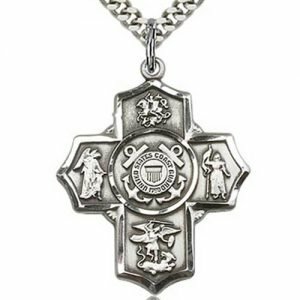 The medal has a chalice center with the Sacred Heart above, St. Christopher to the right, St. Joseph to the left and the Miraculous Medal underneath. 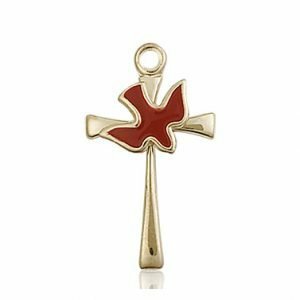 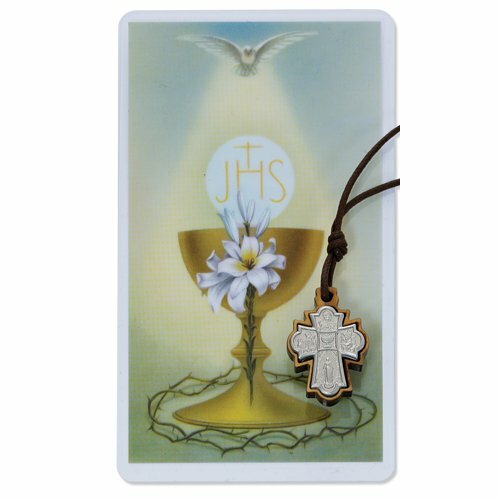 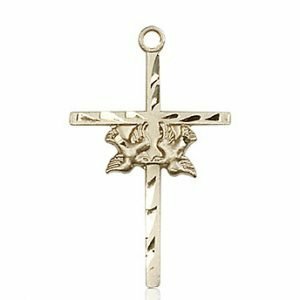 The pendant comes with a beautiful First Communion Prayer Card. 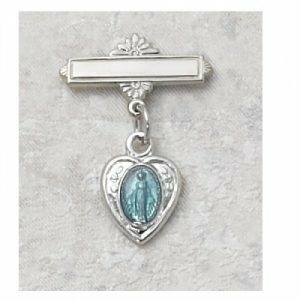 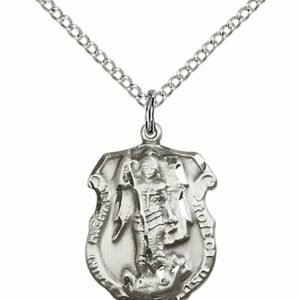 This medal hangs on an adjustable cord for a casual and easy to wear option. 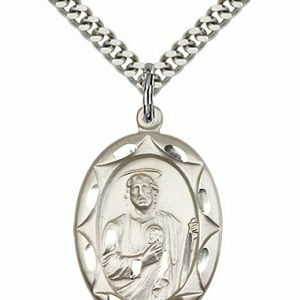 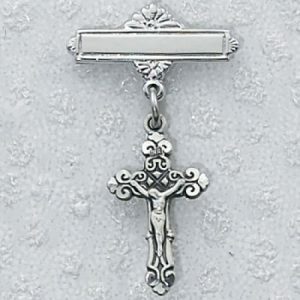 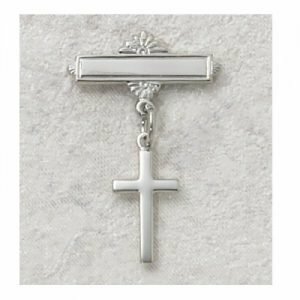 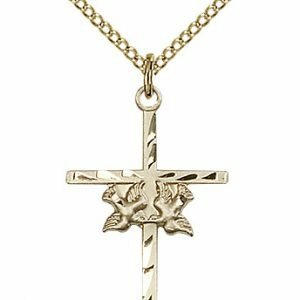 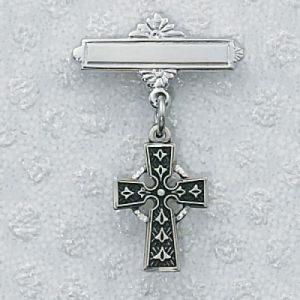 This First Communion necklace is a great gift idea for a First Communicant.